20th Century Fox has finally announced details on the Star Wars Ultimate blu-ray on Star Wars Day, May the Forth. The Complete Saga blu-ray set will contain 9 blu-ray discs with 40+ hours of special features, highlighted by never-before-seen content sourced from the Lucasfilm archives. The comprehensive collection also features numerous deleted, extended and alternate scenes, new documentaries and a cross-section of the countless Star Wars spoofs that have appeared in pop culture over the past three decades. Marking the first time ever that the full Saga is available in one complete collection, STAR WARS: THE COMPLETE SAGA ON BLU-RAY also features a coveted peek into the making of the Saga with vintage documentaries, audio commentaries, behind-the-scenes moments, interviews, prop and costume turnarounds, retrospectives and more. Episodes I-III and IV-VI will also be available as distinct Blu-ray Trilogy collections. The complete special features list is below. 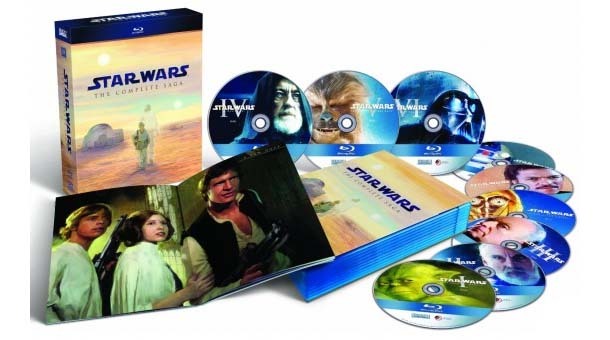 Star Wars: The Complete Blu-ray Saga is set to be released on 15th September 2011 in Australia for the price of $139. Alternatively, it can be purchased online from overseas at a cheaper price below.